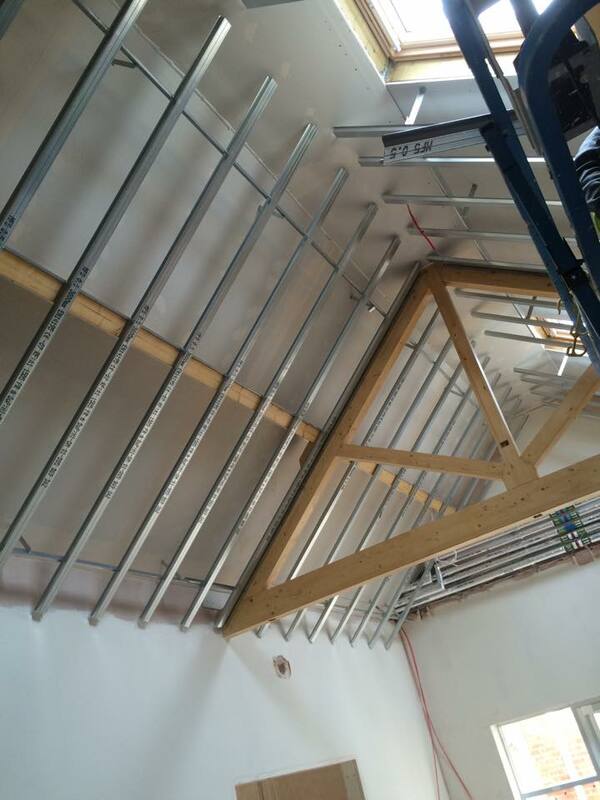 We recently carried out all dry lining and specialist acoustic aesthetic ceilings for Stony Stratford Primary School in Milton Keynes on time and to budget. 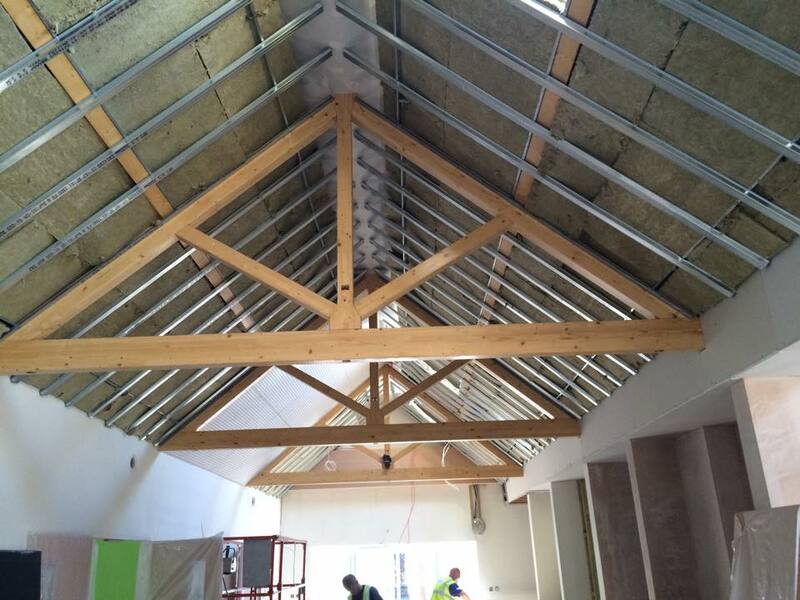 Working with such an old building (1907) we carefully stripped away all the excess plaster from previous years and began taping and jointing the new plasterboard surfaces. 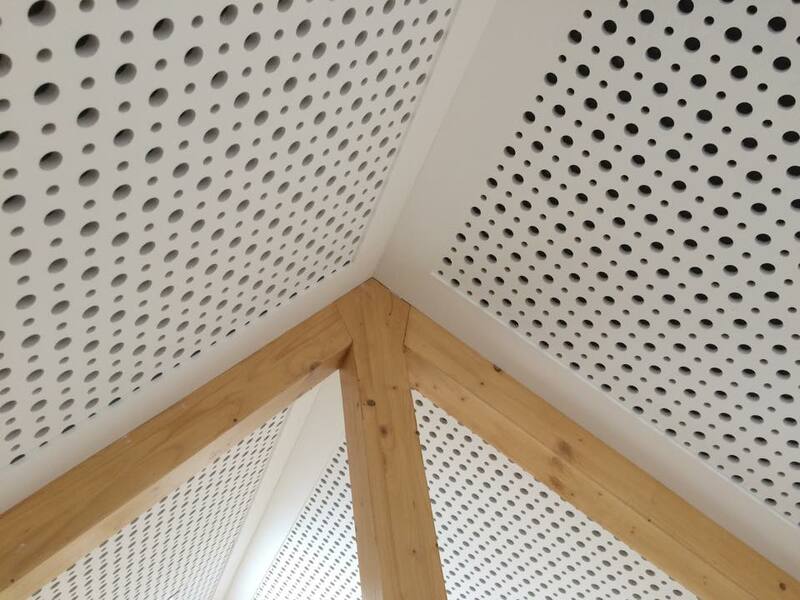 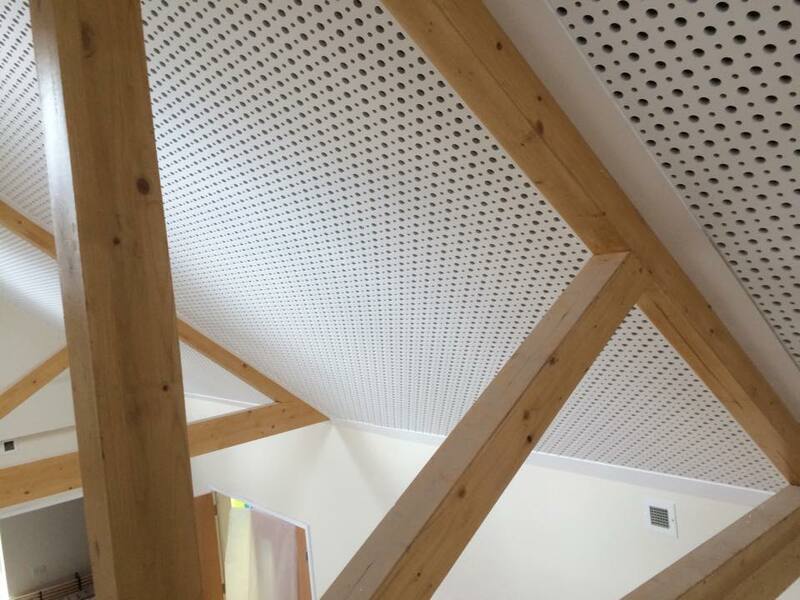 In the larger rooms of the school we also did some pitched perforated plasterboard ceilings which also look fantastic!